Whoever Let a Little Rain Scare Them? 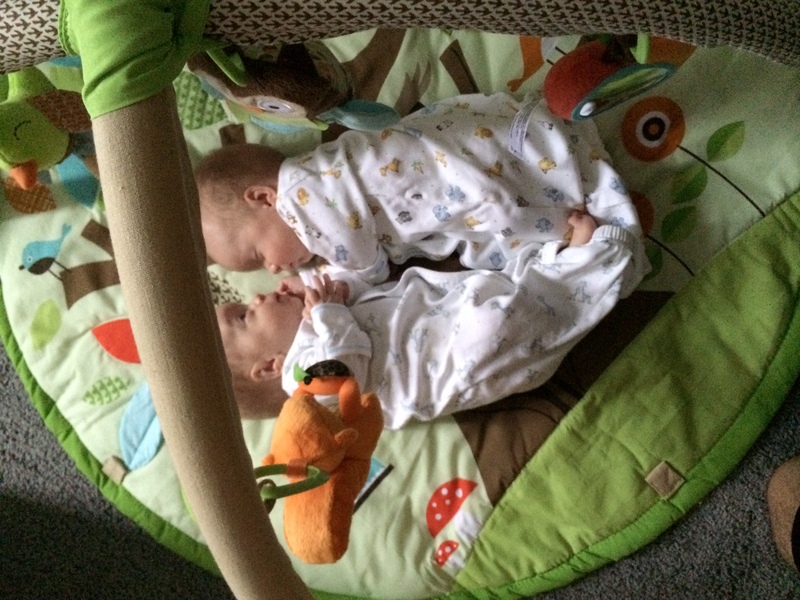 I swear we left them a few hours earlier on opposite sides of the crib. Facing the same direction. Sophie was relegated to her own crib after her midnight shenanigans. 1) Took our first trip out with the strollers. Not in the rain (thank you, weather gods! ), but prepared for it just in case (thank you Sarah MacLeod and Mrs. Johnson)! 2) Had our first visit to the pediatrician. Passed with flying colors. 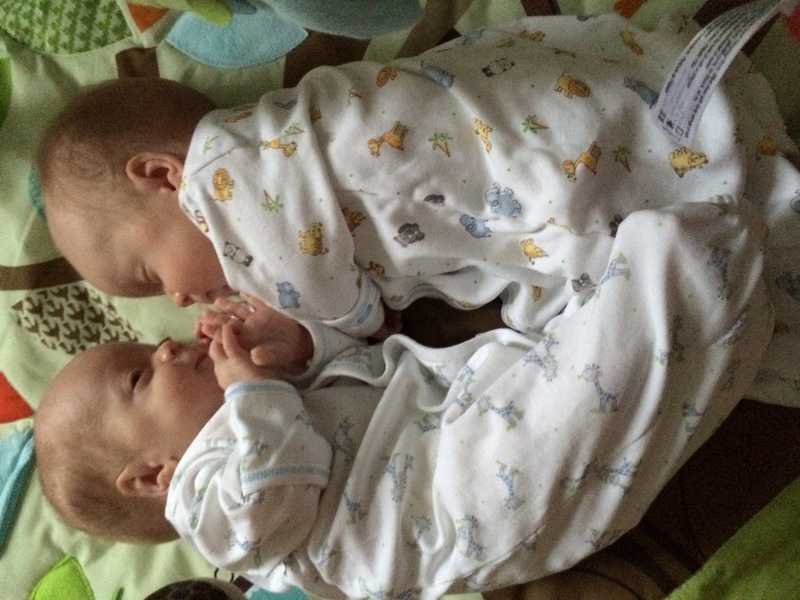 3) Practiced feeding two babies at a time. No big deal. Some of us are better at this than others. I am talking about the babies, not the adults. 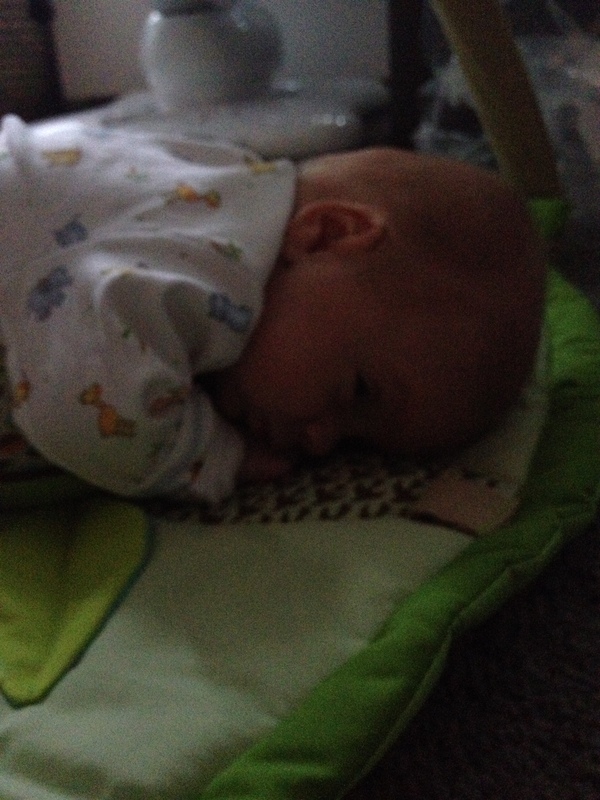 4) Had some tummy time. 6) Took a bath (well, three separate baths, one baby each). Oh, and slept and ate. A lot.